Ms. Mitchell’s 2nd grade class is in the middle of a unit on ecosystem interactions. 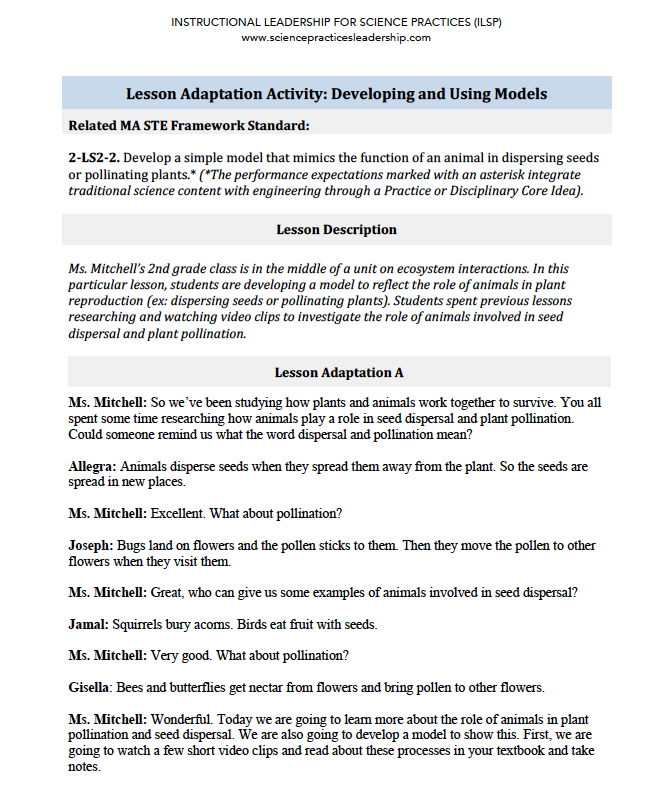 In this particular lesson, students are developing a model to reflect the role of animals in plant reproduction (ex: dispersing seeds or pollinating plants). Students spent previous lessons researching and watching video clips to investigate the role of animals involved in seed dispersal and plant pollination. 2-LS2-2. Develop a simple model that mimics the function of an animal in dispersing seeds or pollinating plants. * (*The performance expectations marked with an asterisk integrate traditional science content with engineering through a Practice or Disciplinary Core Idea).